Monsoon Asians & Pacific Islanders in Solidarity (formerly, Monsoon United Asian Women of Iowa) was co-founded in Des Moines, Iowa, in 2003 by Mira Yusef, currently the executive director of the organization, and Shashi Tenneti, a community activist, as a grassroots volunteer group to provide advocacy services to victims/survivors of domestic violence and sexual assault in Asian and Pacific Islander (API) communities in Iowa. The group was formed after Ms. Yusef discovered that mainstream organizations were not sufficiently equipped to respond to the cultural and linguistic needs of the API population in the state. Ms. Yusef had a background of several years of volunteerism in the Bay Area of San Francisco, a bastion of social services, so along with Ms. Tenneti, she began to form a collective of women who were interested in learning more and raising awareness about domestic violence and sexual assault in API communities. Ms. Yusef was instrumental in bringing the Multilingual Access Model of training (MLAM), developed by the Asian Women’s Shelter in San Francisco, to Monsoon and thus establishing a strong foundation for advocates. The Iowa Coalition Against Sexual Assault (IowaCASA) was a bedrock of support for Monsoon in the early years as volunteers worked consistently and tirelessly on community outreach and education and collaborated with other organizations and agencies on numerous projects, all of which were related to the prevention of gender-based violence. In 2007, Monsoon became a nonprofit organization and began to receive funds from the Iowa Crime Victim Assistance Division (CVAD). Ms. Yusef, who had left to pursue graduate studies in social work, returned to lead Monsoon, which officially opened on December 15, 2007. The organization also selected a board that was representative of the communities being served. In 2003, Monsoon’s office space had consisted of a desk, chair and computer acquired through the generosity of IowaCASA and located in IowaCASA’s office in a Des Moines building. In 2008, Ms. Yusef hired the first advocate staffer and Monsoon subleased a one-room office in the same building. The same year, the organization developed its violence prevention program with middle and high school API students in Des Moines and hired eight youth interns, with the titles of API Youth Advocate and Outreach Workers, to work with a violence prevention coordinator on in-school and after-school programs. In 2009, Monsoon received two grants from the U.S. Department of Justice’s Office on Violence Against Women (OVW) and hired three more advocates. One of the advocates was based in Iowa City, so Monsoon decided to open an office in the Eastern Iowa university town that would serve the region. 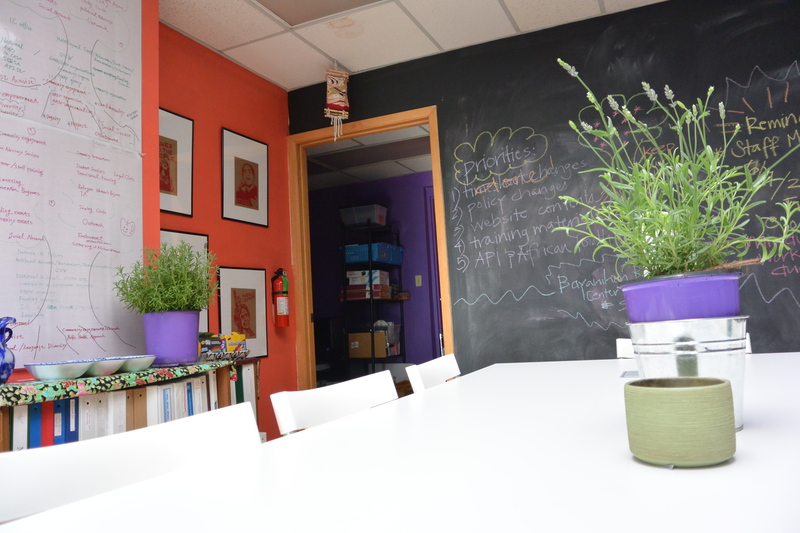 The University of Iowa’s Women’s Resource and Action Center rose to the occasion and offered office space at its site, resulting in a spurt in people seeking Monsoon’s services. 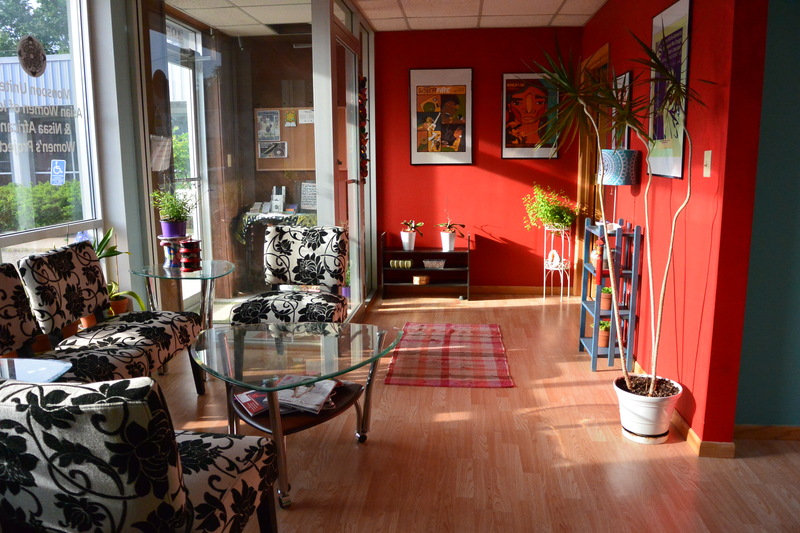 In 2012, the office moved to an independent site on the southern side of downtown Iowa City. In 2017, Monsoon again moved to its office to its current site on the eastern side of Iowa City. Unburdening our Mothers’ Backs project: Monsoon was a recipient of the FY2009 OVW SASP CSP grant that allowed Monsoon to perform statewide community assessment using focus group discussions and individual interviews for the “Unburdening Our Mothers Oral History Project” and to implement a sexual assault-focused community outreach and education projects. The oral history project was intended to dismantle the shroud of silence hanging over sexual assault among API elders. The project serves as a therapeutic forum for testimony, inform Monsoon’s efforts to offer services attuned to the experiences and needs of the communities it serves, and collect stories for the benefit of younger generations. In 2011, Monsoon helped formally establish Nisaa: African Women’s Project (“Nisaa”) to serve African immigrant and refugee communities after incubating it as part of Monsoon’s goals of building solidarity with marginalized communities. Monsoon shared space and resources with Nisaa and extended administrative and financial assistance to the project as well until 2015, when Nisaa became fully independent. Since 2012, the organization also has been extending technical assistance to other programs with providing services to API communities in Iowa and nationally through the National Organization of API Ending Sexual Violence (NAPIESV). In 2016, Monsoon was awarded funding to administer Iowa’s statewide chatline victim services. IowaARCH was funded from FY2016 to FY2017. IowaARCh lost its funding for FY2018 due to the budget cuts in Iowa. Monsoon was also tapped by CVAD 2016 to help draw up plans for the Iowa Coalition for Collective Change (formerly the Networking Project), a project that is funded to provide training and technical assistance to CVAD Homicide Victim Services grantees. Luana Nelson-Brown was recently hired to be the first executive director of the coalition and will be a separate program from Monsoon by June 30th, 2018. 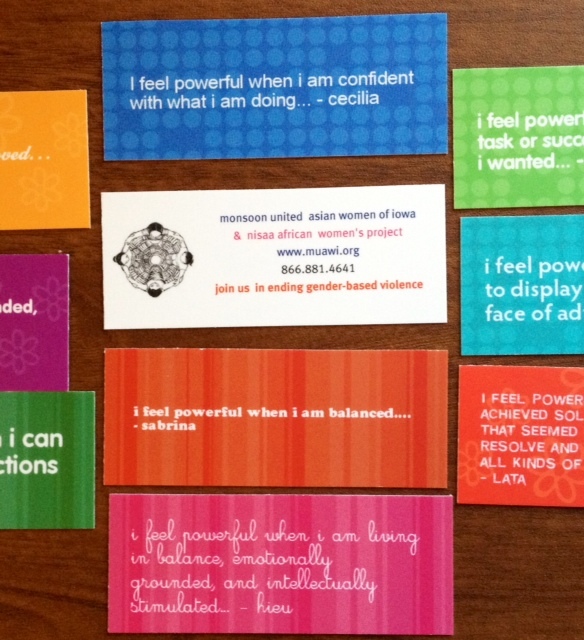 In 2017, with funding from the Office on Violence Against Women for two years, Monsoon began partnering with the Hindu Cultural and Educational Center, National Federation of Filipino American Association – Iowa, and an Iraqi community member to implement the Community Peer-to-Peer Advocacy and Outreach Project. 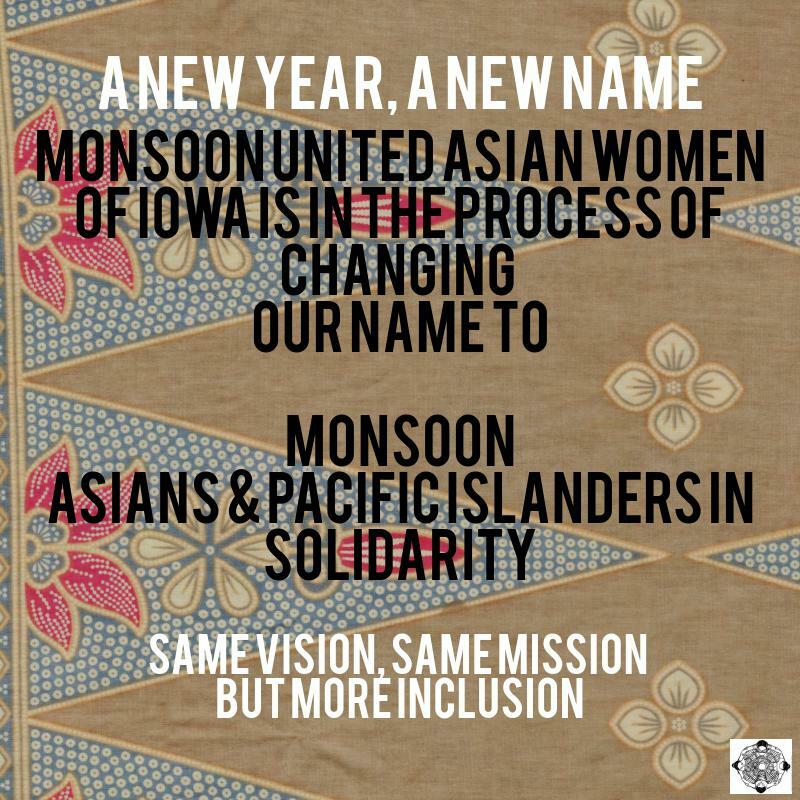 The goal of the project is to enhance services and outreach for Asian and Pacific Islander victims/ survivors of sexual violence in Iowa, with specific focus on three populations: 1) Bhutanese of Nepali ethnicity; 2) Filipinos; and 3) Arabic-speaking refugees and immigrants from West Asia.